Tel Aviv is a constantly expanding hub of tech startups. The city’s tech ecosystem is backed by a strong emphasis on R&D, the presence of global VC capital and strong and self-sustaining networks of serial entrepreneurs. Currently, the city is seeing a massive buzz around cybersecurity, fintech and artificial intelligence. With that in mind, here are the 21 Tel Aviv startups that we think you should be watching in 2019, in no particular order. Description: Airobotics are the pioneers of a cutting-edge unmanned drone project that can mine aerial information and provide useful reports for facilities in various industries. The company was founded by Meir Kilner and Ran Krauss in 2014. So far they have raised $101 Million through five funding rounds, with investor including CRV, OurCrowd, Pavillion Capital and Bluerun Ventures, among others. Description: Aurora Labs have developed a new platform for detecting errors within a vehicle’s condition. It is described as “self-healing” and will help the automotive industry to avoid expensive product recalls. They were founded in 2016 by Zohar Fox and Ori Lederman. Currently, they have raised $11.1 Million through three funding rounds. Investors include MizMaa Ventures and Fraser McCombs Capital, among others. Description: Octopus have developed an app for smartphones that functions as a cloud-based physical security platform for high-risk facilities like airports, manufacturing facilities, hospitals etc. Some of their clients include Coca-Cola and Visa. They were founded during 2013 by Baruch Tagori and Tal Bar-Or. They have raised $7.8 Million in total, with one of their investors being Singulariteam. Description: An emerging player in the agriculture sector, Taranis utilizes deep learning systems on sets of data which can include, aerial images, sensors, satellite images, weather reports and their own forecasts to stop diseases of crops. They also help farmers to increase their yield from their crops. They were founded during 2014 by the trio of Ayal Karmi, Eli Bukchin and Ofir Schlam. Currently, they have raised $29.5 Million of funding through four funding rounds. Their investors include Vertex Ventures and Viola Ventures, among others. Description: Gloat.Com is a professional career development system that utilizes AI to give people job offers and assessments of their value in real time. This is done anonymously. They were founded in 2014 by the group of Amichai Schreiber, Ben Reuveni, Danny Shtainberg and Roy Reuveni. Currently, they have raised $9.6 Million through two funding rounds. Investors include Pico Partners and Magma Venture Partners, among others. Description: Yoobic has developed a smartphone app that is used to monitor marketing and merchandising efforts in retail environments. They were founded by Fabrice Haiat, Gilles Haiat and Thierry Haiat in 2014. Currently, they have raised $30.3 Million through two rounds of funding. Investors include Felix Capital and Insight Venture Partners. Description: BlueVine has created a service that allows small businesses to receive instant payments on their unpaid invoices. They were founded in July 2013 by Eyal Lifshitz, Moti Shatner and Nir Klar. They operate both in Tel Aviv and Palo Alto. They have currently raised a staggering $590 Million through 12 funding rounds. Investors include Nationwide Insurance, M12 and Menlo Ventures, amongst others. Description: Arbe Robotics are the creators of a sophisticated, high-res radar system to be used by ground vehicles. They are designed to help vehicles identify objects and detect them quickly. They were founded in July 2015 by Kobi Marenko, Noam Arkind and Oz Fixman. They have currently raised $22.7 Million through five funding ventures. Investors include 360 Capital Partners, OurCrowd and O.G Tech Ventures, among others. Description: Healthy.io have devised a genius smartphone app, which can give your phone the same function as a medical urinalysis system. They can be used to test for a variety of different conditions. They were founded in 2013 by Jonathan Adiri, Roee Salomon and Shachar Mendelowitz. Currently, they have raised $12 Million through one funding round, with their lead investor being Quantum Pacific Ventures. Description: The team at LawGeex have managed to develop an artificial intelligence system that can speed up the reviewing of legal documents. This is by having the system scan them for problems or misplaced language. It boasts 94% accuracy, better than some lawyers! Lawyer Noory Bechor founded the business with Ilan Admon in 2014. Currently, they have managed to raise $21.5 Million through four funding rounds. Investors include Aleph and Lool Ventures, amongst others. Description: Lemonade is a breakthrough insurance provider who has based their USPs on their flat monthly fees and the use of algorithms to process claims and calculate pricing. This efficiency allegedly makes them cheaper than their competitors. They were founded in 2015 by Daniel Schreiber and Shai Wininger. Currently, they have raised $180 Million across five funding rounds. Their investors include Allianz and Softbank, among others. Description: CommonSense Robotics is trying to get ahead of the production war. To do this, they have plans to build small warehouses, similar to those of Amazon. These warehouses would have their products sorted by autonomous machines. They are then delivered and packed by a person. They were founded by Elam Goren, Eyal Goren, Ori Avraham and Shay Cohen in 2015. Currently, they have raised $26 Million through three funding rounds. Their investors include Aleph and Playground Global, amongst others. Description: Lightricks is an app design studio, who have created a number of different apps for consumers. Including the most downloaded paid app of 2017, Facetune and they have a lot left up their sleeves. They were founded in 2013 by Amit Goldstein, Itai Tsiddon, Nir Pochter, Yaron Inger and Zeev Farbman. They have currently raised $70 Million through two funding rounds. Their investors are Insight Venture Partners, Viola Ventures and ClalTech. Description: Corephotonics is a business at the forefront of dual camera technology. They have aims to venture further into the automotive, drone, surveillance and action camera markets. They were founded in 2012 by David Mendlovic and Gal Shabtay. Currently, they have managed to raise $35 Million through four funding rounds. Their investors include MizMaa Ventures, Samsung Ventures and Magma Venture Partners, among others. Category: Internet, Real Time, SaaS. Description: Datarails have managed to create a system that turns complex spreadsheet data into more accessible information. They were founded in 2015 by Didi Gurfinkel, Eyal Cohen and Oded Har-Tal. They have currently raised $10 Million through four funding rounds. Their investors include Vertex Ventures and Innovation Endeavours, among others. Description: Deep instincts are a cybersecurity startup that has used deep learning artificial intelligence to create a predictive system which can detect threats almost immediately. They were founded in 2015 by Eli David, Guy Caspi and Nadav Maman. Currently, they have managed to raise $49.1 Million through three funding rounds. Their investors include Coatue Management and Nvidia GPU Ventures, among others. Description: Bringg is a company that has devised their own SaaS platform that can be used by companies in the retail, logistics, catering and other service industries. Bringg helps to achieve high-performance logistically, even in complex logistic processes. They were founded in 2013 by Lior Sion and Raanan Cohen. Currently, they have managed to raise $27 Million through five funding ventures. Their investors include Coca-Cola and Aleph, among others. Description: Twiggle is a startup that has utilised artificial intelligence to power an advanced and sophisticated e-commerce experience. They were founded in 2014 by Dr Amir Konisbeg and Dr Adi Avidor. They have currently managed to raise $35 Million through four funding rounds. Their investors include Korea Investment Partners and MazMaa Ventures, among others. Description: Missbeez is a work management solution for the beauty industry. It allows customers to make a home or work booking through their app when they need a beauty professional. They handle, route planning and payment and their beauty professional’s diary. They were founded in 2015 by Gil Bouhnick and Maya Gura. They have currently managed to raise $5.2 Million through four funding rounds. Their investors include Run Capital Investment Fund and Ourcrowd, among others. Description: Otonomo is a startup marketplace for connected vehicle data. This platform allows motor companies to then sell their data to third-party companies in a wide variety of sectors. They were founded in 2015 by Avner Cohen and Ben Volkow. They have managed to raise $43 Million through four funding rounds. Their investors include Delphi Automotive and NTT DOCOMO Ventures, among others. Category: 3D Technology, Augmented Reality. Description: Vayarr was originally created with the intention to be used for diagnosing breast cancer, using its sophisticated radio-wave technology to build three-dimensional images of spaces. It has exploded for a wide variety of separate uses. They were founded in 2011 by Miri Ratner, Naftali Chayat and Ravid Melamed. They have currently managed to raise $79 Million through four funding rounds. Their investors include ITI Venture Capital Partners and Walden Riverwood Ventures, among others. Category: Artificial Intelligence, Customer Service. Description: Chorus are the proprietors of a platform that uses conversational intelligence to assist sales teams. The main purpose of the platform is to help salespeople and managers to correctly act on the outcome of a sales discussion. They were founded in 2015 by Micha Breakstone, Roy Raanani, and Russell Levy. Currently, they have managed to raise $55.3 Million through three funding rounds. Their investors include Emergence, Georgian Partners and Redpoint, among others. 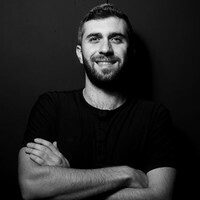 Asaf Fybish is a Tel Aviv-based business development and SaaS marketing professional. He likes all things organic, especially when it comes to growth. He’s a proud partner at StartupStash and runs his own boutique growth agency.